Posted earlier on the disappearance of the Right Now widget on WordPress.com Dashboard. It is a good news that Right Now has now returned to the Dashboard. Thank you WordPress. 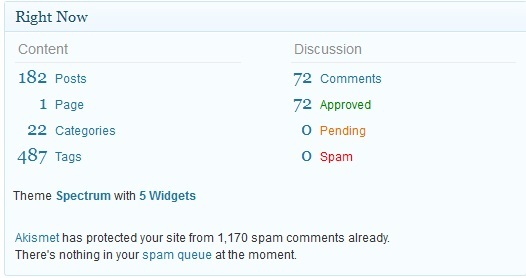 A summary information of my blogs hosted on WordPress.com is no longer present on the Dashboard. 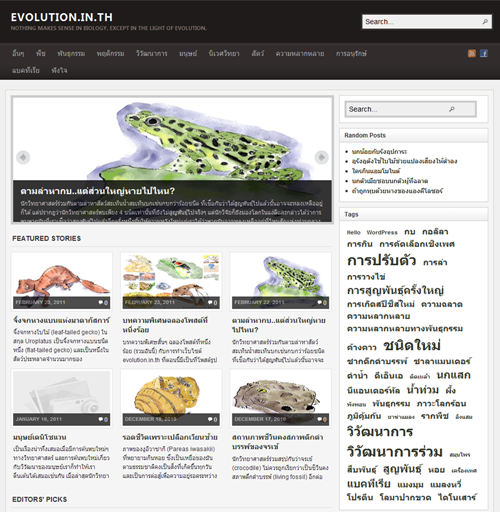 The picture above shows the current “Right Now” on Dashboard of http://www.evolution.in.th self-hosted using WordPress 3.1.4 (not so up-to-date version though). I don’t know why “Right Now” has been taken out, but I really like it. Your WordPress.com account, [....] is not authorized to view the stats of this blog. 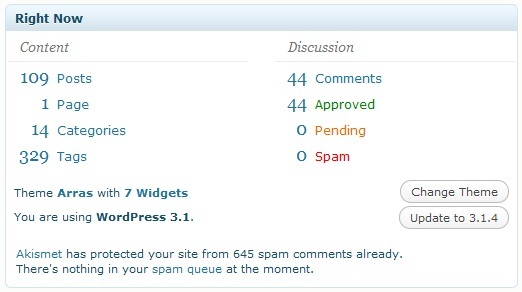 Your WordPress.com account, [....] is not authorized to view the stats of this blog. Currently access to stats is broken for some users and we are working on fixing this. Your stats are still being counted and will be visible once we restore access for your account.